Body composition is the makeup of the body in terms of the relative percentage of fat-free mass and body fat. Your weight on a scale consists of two dimensions: (1) body fat or adipose tissue; and (2) fat-free weight or muscles, bones, blood, organs, etc. Fat-free weight represents all the rest of the body’s weight, excluding fat—muscles, bones, organs, and nervous tissue. Body fat is the body’s primary reserve of stored energy and is stored as triglycerides both in fat (adipose) cells located between the skin and muscles all over the body, as well as within skeletal muscles. Percent body fat represents the percentage of total body weight that is carried as fat. In my humble opinion, this information renders the height-weight tables of yesteryear obsolete or at the very least inconsistent, inaccurate, and incomplete since they do not take a person’s body composition into consideration. Since muscle weighs more than fat, a bodybuilder could be considered obese according to those charts. Likewise, a person who is well within the accepted range may be over-fat by body composition standards. Perhaps equally unreliable is the BMI (Body Mass Index). I rate that a close second when it comes to “stupid numbers” that freak people out. Like the height-weight chart, the BMI uses total body weight in its calculation, and, therefore, does not discriminate between overfat and athletic or more muscular body types, rendering it an inaccurate number as far as I am concerned. So we have three, count them, three widely used standard assessments, all utilizing the same flawed protocol that does not take body composition into account. 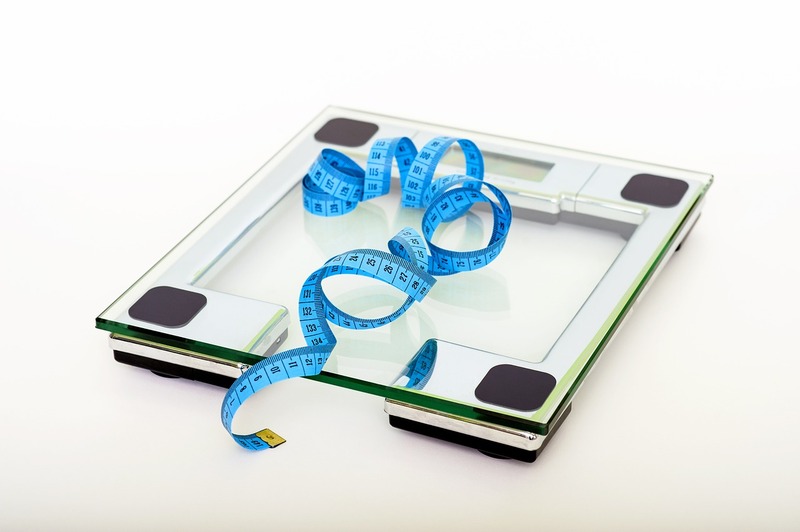 The scales, the height-weight charts, and lastly the BMI do not take body composition into account, so they DO NOT give an accurate picture of your level of health and fitness. BIG HONKIN' HOWEVER, these numbers can serve a very useful purpose. They can give you a baseline number to use to track your progress. They can also serve as a wake-up call in some instances, if your number is way high, that you need to get yourself in gear and start a health and fitness plan. The numbers may not be exact or completely accurate; however, if they get your attention and help prod you into action, then maybe they're not all that bad. And like I said, they can be used as a number to watch change as you implement your new and improved lifestyle choices, i.e., cardio training, weight training, and healthy food choices, and such. That being said, if you want to know your BMI enter your info in the following chart. So try not to be so hung up on the numbers on the scales or stupid charts. Weigh once a week only, and do not freak out if the numbers don’t go down at first. You ARE changing your body composition. Trust me on this!! So, as you can see, achieving and maintaining a healthy body composition is an important part of health and fitness. This is why I try to get my clients to understand that since muscle weighs more than fat, (and you will lose fat while gaining muscle when you undergo a proper fitness plan that includes strength training that the scales may not change much in the beginning. In fact, if you have very little fat to lose, the scales may not change at all. But, your clothes will begin to fit better and you will look better in the mirror, and people will begin to comment that you are looking mahvelous dahling! Not to mention you will feel mahvelous too! Let a professional measure you for girth measurements (as pictured on the left) and/or do a skinfold caliper test (center picture) or a handheld body fat test (pictured on the right) to get you started. Then, let her/him re-test you every couple of months. How Much Body Fat Do We Need? Return from Body Composition to Straightforward Fitness Home.